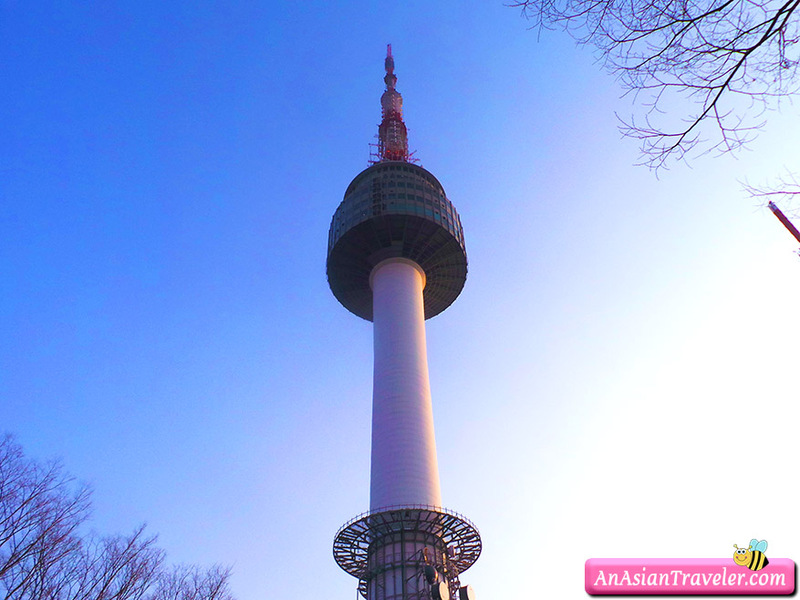 Namsan Seoul Tower was built in 1969 as Korea's first integrated transmission tower beaming television and radio broadcasts across the capital. 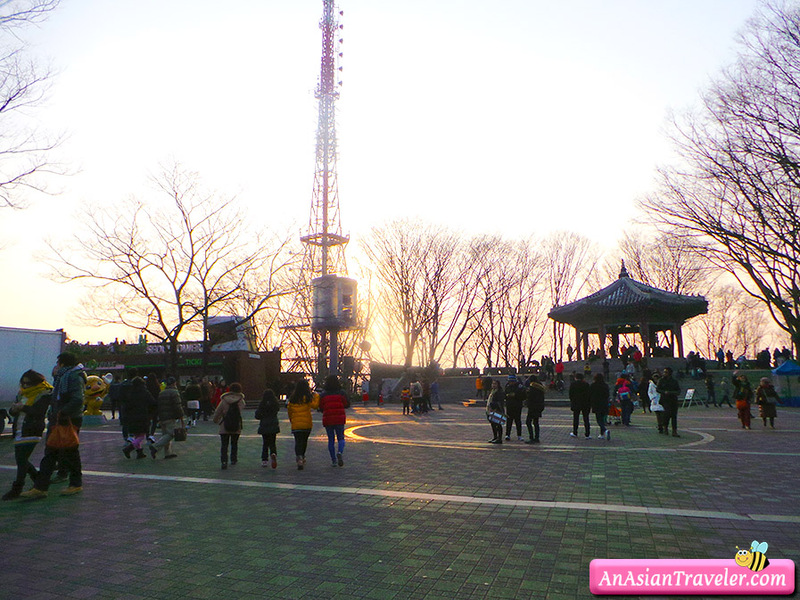 The 236.7 m (777 ft) tower sits on the Namsan mountain (243m or 797 ft). 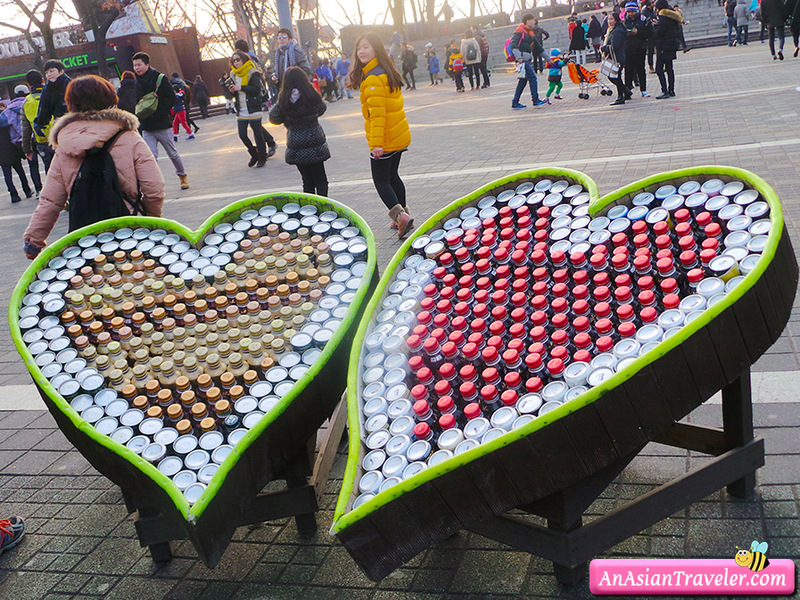 Since opening to the public in 1980, it has become a much-loved Seoul landmark. 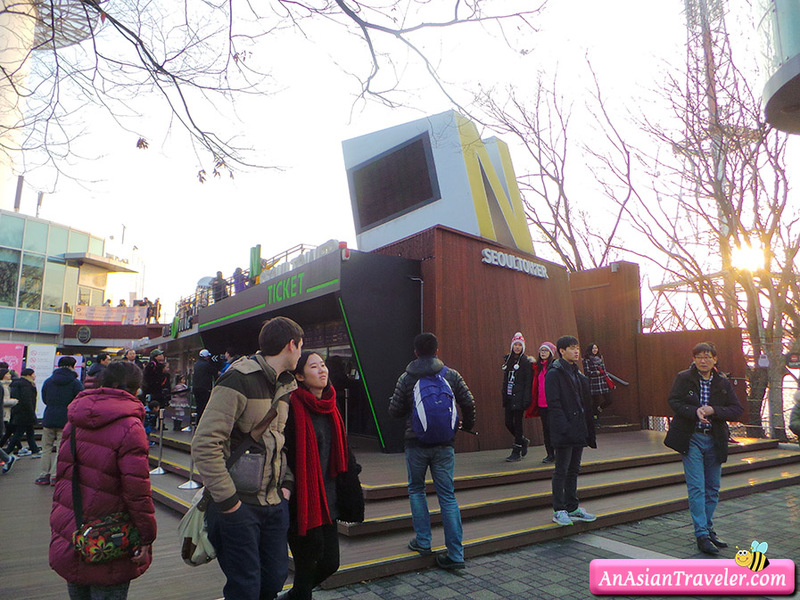 We took the Namsan cable car leading up to the Mt. 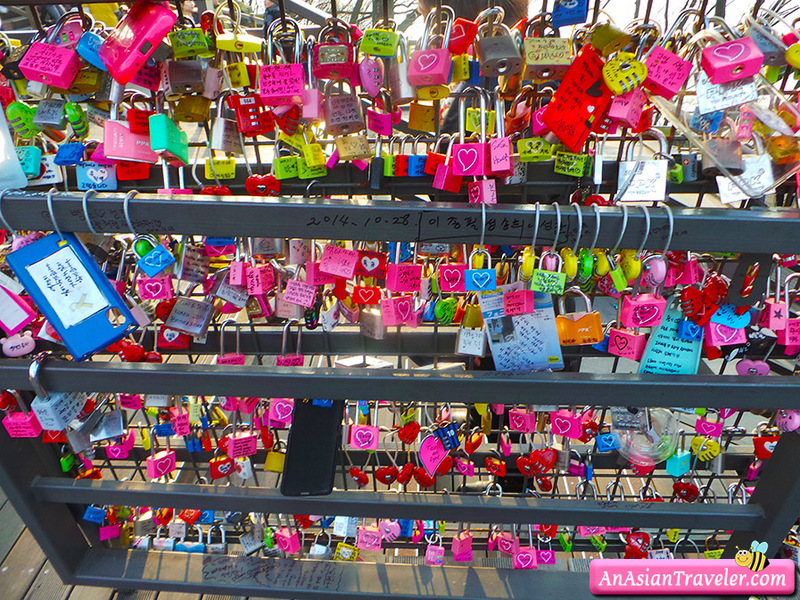 Namsan and then walked up a flight of stairs to the N Seoul Tower. The car has a capacity of 48 people. 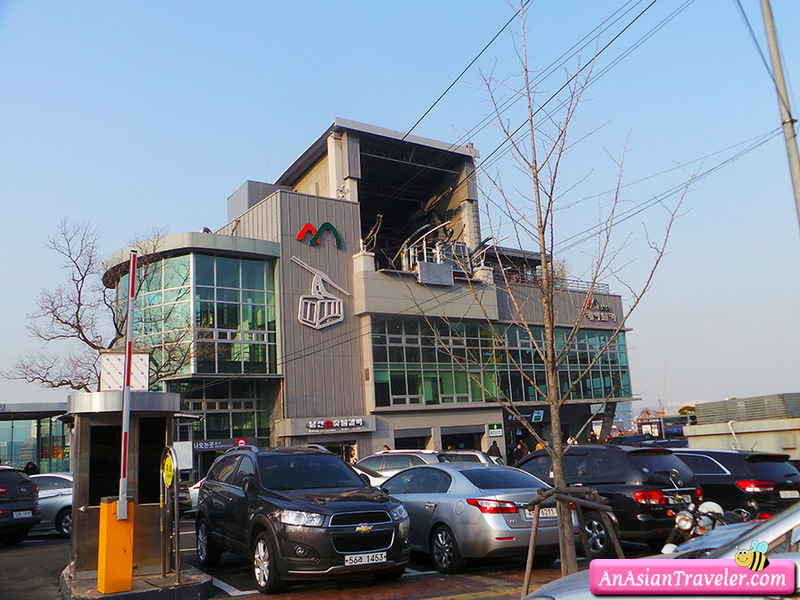 I guess we went there during peak hours because the line was long and a bit crowded inside the cable car. 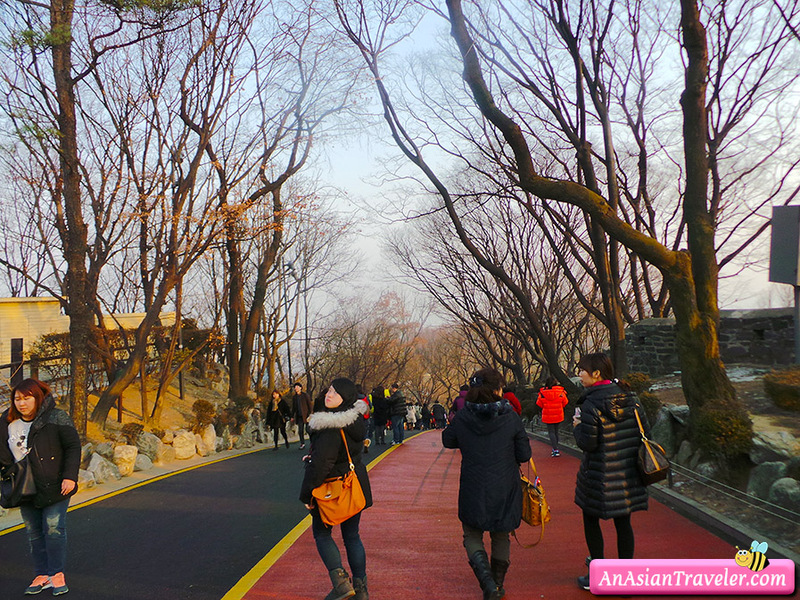 Despite of that amazing 360º panoramic view over the entire city of Seoul greeted us all as we continued to ascend. 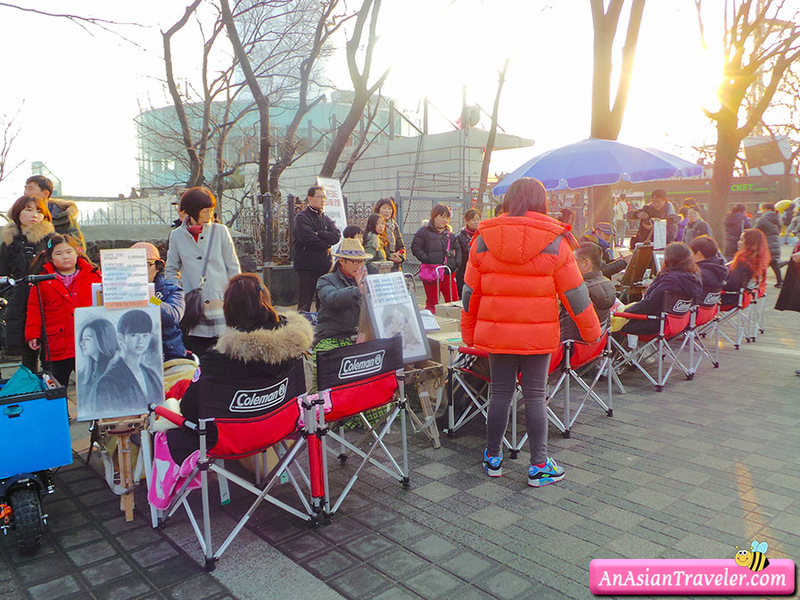 We were able to go to Alive Museum located at the lobby of N Seoul Tower. 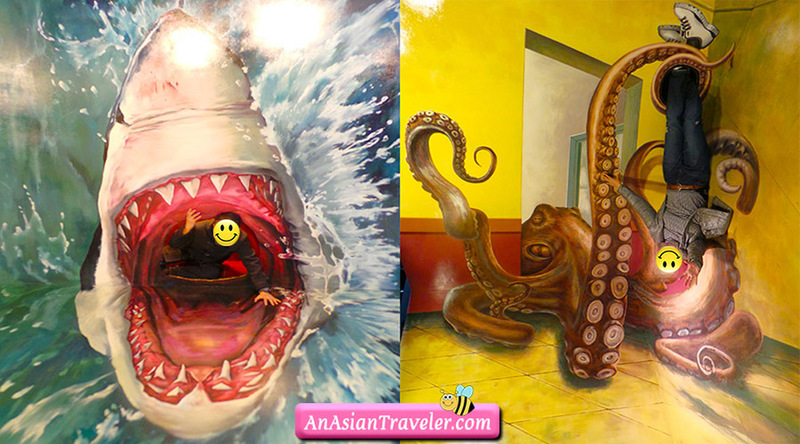 We immersed ourselves in the world of optical illusions paintings. 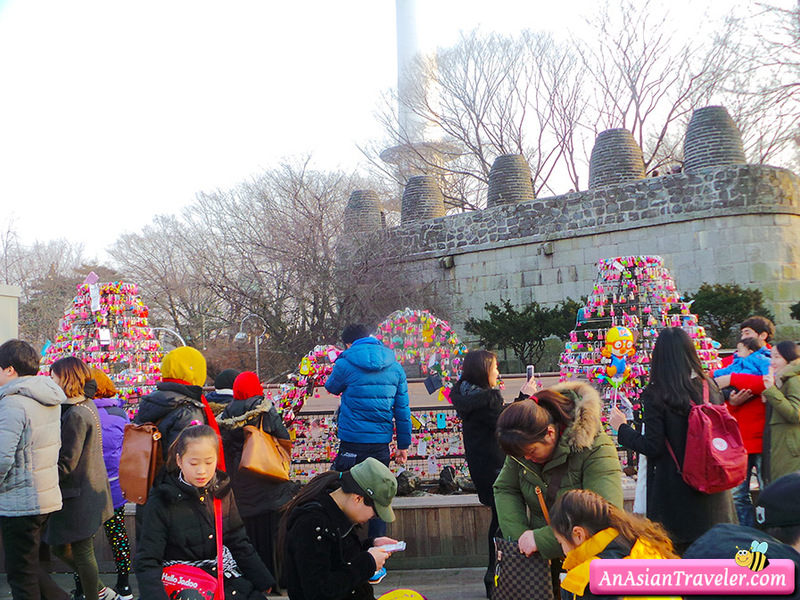 The tower's main attractions include multi-colored digital art projected onto the tower at night, a digital observatory, a roof terrace, thousands of love locks, and the Haneul (Sky) Restroom. 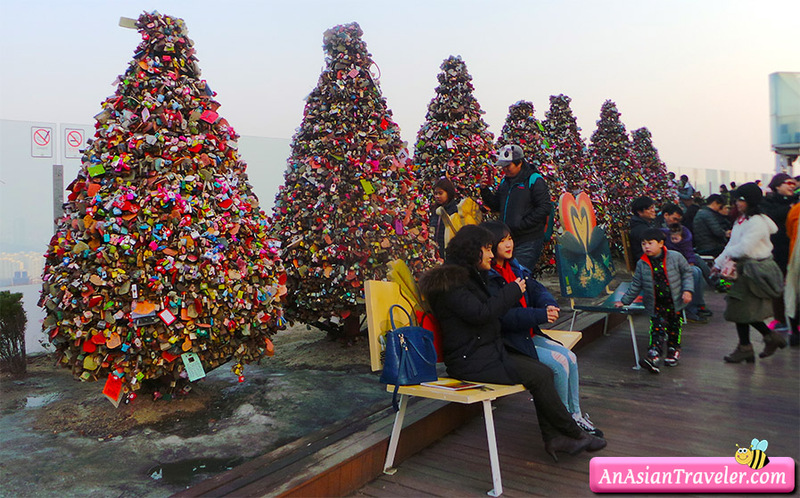 N Seoul Tower's have made it a popular place to unwind for locals and tourists alike.